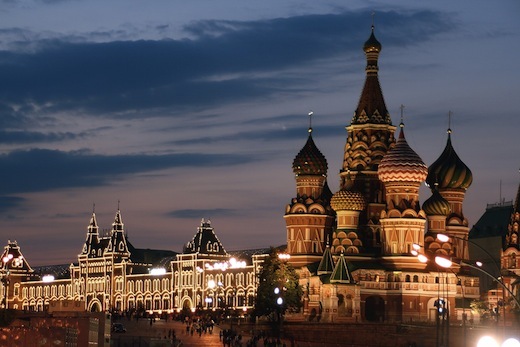 Russia is an interesting market to invest in, and it’s not just foreign investors that are taking notice and scouring for interesting startups in Moscow and other cities. Runa Capital, a young but prolific Russian VC firm that invests in cloud computing, Internet, virtualization software companies and mobile app makers, has just increased its fund size from $75 million to $135 million through a private offering. The boost will enable Runa Capital to increase its maximum investment size from roughly $5 million to $10 million, and also diversify in terms of which stages a company needs to be in before the firm decides to invest. Currently, its portfolio consists of companies like Nginx, Ecwid, TravelMenu, Jelastic, StopTheHacker, B2B-Center and Capptain. In total, the fund plans to invest in some 40 to 50 tech companies. Runa Capital was started in 2010 by Serguei Beloussov (founder and co-owner of Parallels, Acronis and Acumatica), Alexander Galitsky (founder of Almaz Capital Partners) and Dmitry Chikhachev (Ericsson, Ritzio, Uvenco). Among its partners of Runa Capital are over 50 entrepreneurs and professional investors, which include the founder of hosting company 1&1, Andreas Gauger, Fotolia founder Oleg Cheltsov and many more.